You don’t need a special Real Estate theme or expensive realtor web service to add searchable MLS listings to your WordPress site. Toronto Realtors can easily add searchable MLS property listings to a WordPress site with the free TREB IDX data feed. An IDX feed will promote ALL TREB property listings on your website, not just your own featured listings. Switch from the Visual Editor to HTML view then copy and paste this line of code into your page below the text. Save and Preview your new page. If you’re happy you can go ahead and publish the page. If you found this information helpful, please add a comment. Hi Ruth, this was a great article! Do you have an example website that is currently using this? I would love to see it in action! Thanks again, and keep up the great work! Check out http://lilettewiens.com/ Toronto Realtor Lilette Wiens took our LearnWP WordPress workshop and I figured this out with her. Hi I am trying to find where I can get the API code. I do not see IDX management when I log into TorontoMls.net Is there something that needs to be done or I require to apply for before I am able to do this? Are you using Internet Explorer? I think you need to be in IE to find it. HI, How are you, I am also going to develop the website for the real estate agent, but i want fetch direct to contents of property into the database because i want change the design of search and property listing or detail page, let me know how i can do it. i appreciate for this reply. You would need to become a third party provider and you would have access to the raw feed. Then you code the page to present the fields you want. But there are limitations as to what you can and can’t do. TREB is very strict and will shut you down if not compliant. thanks for the the info about idx. On the location tab, type in the location (address, city, province or Postal Code instead) and SAVE. This page is utterly sensational and I truly appreciate you putting this on here to help everyone out (myself included). Question, has anyone figured out a way to import listings onto a homepage or another page so you don’t have to do a “search” from the form that this create on the website? Or is this IDX a little more basic than some of the fancy american versions. The IDX is just being displayed in your site in an iframe. There is no way that I know of to import content from the IDX database to your WordPress database. Robin, scraping or importing listings on a homepage would be a violation of the MLS rules.. You may wan to be look into the CREA Data Distribution Facility instead. Follow the link when you log in. We have developed an open source python based solution that connects directly to TREB, downloads listings, listing photos, and imports them directly into TREB. The problem with all the commercial TREB WordPress solutions is that they basically connect to TREB themselves and interact with the TREB data, TREB ftp repository for listing images and arrange the data themselves. They then provide the data to the end-user from their own systems. Our solution allows you to bypass the “middle man” and connect straight to the source, empowering you to handle, manipulate and manage your own listing data without having to pay subscription fees for commercial wordpress plugins that basically do the same thing. The python script uses a text file template for creating wordpress blog posts with the real estate listing data. You can use any free 3rd party plugins and integrate the shortcode / html into the listing template that will then be imported into wordpress. The script can be run as a scheduled job once a day to import all new listings (and remove “sold” ones). I admit that the technical expertise required to implement this is a bit high ,but the idea is to create a completely open source solution that gives people an alternative to the subscription commercial solutions that are out there right now (I believe there are at least 2 or 3 Canadian commercial TREB solutions for wordpress at the moment). The link to the blog post we wrote detailing the script and linking to the GitHub project is in my name on this comment. Kevin thanks for sharing this solution. I’ll have to check it out. We too built a new commercial destination which is a CREA 3rd party destination that addresses all the issues: http://www.commnet.ca. Realtors can bring their listings in for free, property marketing tools get attach to their listings and, in essence, CommNet is the only true commercial network available in Canada to share and network commercial professionals. By summer, they will be in the US too replacing Loopnet for Canada. How can I show featured Listings in Custom PHP not in WP..
You would paste the iFrame code into the php page where you want the content to display. Thank you so much. This information is really helpful. Hi, Ruth. Thanks for this post. It looks like torontomls.net has changed their site and the link to “IDX Management” is no longer there. Instead there is now a link to “Data Distribution Facility” which leads to a portal that allows you to set up custom data feeds. Do you know if your method still works? Is there an alternate link on the stratus site to create an API code? As TREB moved to the new platform recently and they will shut down old stratus, IDX Management will become unavailable for the time being. It will be released on the new platform soon. Can I use same ifarme code to make a mobile app? but when I put this website and create IDX key and put it in the code ,nothing comes up. WordPress.com is a blogging service not intended as a professional website. 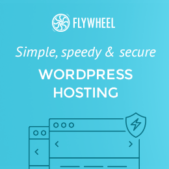 I recommend that you setup a WordPress.org website on your own hosting account with a domain name. http://dandelionwebde.wpengine.com/presentations/moving-com-to-org/ this presentation may help you. Thanks for sharing this. I tried copying that code and adding the API that TREB provided. When I paste in in the TEXT form on a page and preview it, nothing happens. It comes out blank. What am I doing wrong? Hey Ruth, I actually got it to work now. I just dont understand why it is cut off after the point of interest search bar. Any idea? Double check your iframe dimensions. I have experienced a blank screen from some browsers. This is far from perfect I know. Hi ruth, how can I use this API to display featured listings or my office listing as featured on my website? Sorry. It doesn’t do that. Hi Ruth, I am confused as to why a lot of realtor websites tell users that they have to log in in order to view MLS listings from the IDX feed. I’ve been researching this and i’ve come across two feeds IDX and VOW and from what I’ve read it is the VOW feed that requires user name, phone number, and email. Would you be able to further clarify this for me. Sorry Radu but I’m not able to give you any clarification. All I know about the IDX is in this post. I sat down with a client once and helped her figure this out for her site and I wrote this post outlining what we did. When a user logs in to a site to see properties, that means that they are using the VOW. It allows a bit more functionality and access to more data. When using the VOW, based on your agreement, the Brokerage is “responsible” for the person signing up. I’m building my website on localhost until I have enough to make it public. Do you think I’d be able to access the IDX via the localhost? If I could, how would I go about it? So, would you happen to know how I can set this up for Alberta Real estate (Calgary specifically)? Sorry Steve no I don’t know. Amir, you need login credentials from the Board to access any data. We have work with the DDF. One implementation is here: http://www.commnet.ca. We integrate both MLS and exclusive listings in our search. We used a number of plugins for DDF on on WordPress. I can honestly tell you… what a mess! Especially the “best one”. The developer admitted after so many back and forth over email: “it doesn’t work”. They haven’t managed to get anything over 5000 listings to work. Therefore we turned back to the IDX for simpler client solutions. Otherwise, you will need to lock up with a provider that charges a setup fee and a monthly fee. For most of you, it is not worth your time effort and money to go outside of the basic sites. My advice is to spend money on customizing a templated website instead. Best of luck! I followed the straigtforward instruction and got the page up. Do you know how this differs from the IDX provided by Real Web Solutions? They look like they have more customization and presentation of the results. Thanks. Nice to hear from you. Sorry I really don’t know anything about Real Web Solutions. It is the same data. The only thing different is the “presentation”. The TREB one line code doesn’t leave much to our imagination. It is simple. You can just change the data and the colors. The data is set as it comes from the listing. Real Estate Website providers tend to enhance the presentation of TREB data. You are able to enhance the listing with more data, more pictures, additional fields of data and make them appear ‘nicer and fuller’. I did everything you said and it works, the only problem is; “the home page scrolls down automatically to search properties and map” which i put in the middle of the home page. Ruth, thanks so much for this great post. Do you use a plugin for Lilette’s “listings” page or does she does add new listings as regular wordpress posts? Lilette just adds the listings as regular blog posts. That’s right. All boards have very strict rules about how you access and handle the data. Scraping or any other type of data capturing or storing is prohibited unless an agreement is signed. You will have to agree on how the data is displayed also. Does it mean, if someone design website on his/her own, MLS can be displayed on the webpage anyway, even though there is no agreement signed with TREB? If you are a Realtor, you already signed that agreement when you joined the Board. If you are sharing your data with a website provider, then the website provider will ask you to sign paperwork for them to pull your data and display it on your website. If you are building your own website, you can use the iframe option found under your TorontoMLS to display properties with no other agreement. I cant go through all the other available options but feel free to ask. thanks Sam. I got another question, there are a lot of idx wordpress plugins on market. If i am building my website using WordPress, can i just buy a plugin and apply to my website directly? Does it require any particular theme? There are many plugins and they should all work on your site independent of plugin, unless there is a plugin conflict. You should check if your board is available for the plugin. Many are US based and will not work in Canada. I’m sure that there would be a comparable system in Windsor. You’ll need to check with your local real estate board. You may want to consider CREA’s DDF. As of last week, you can pull all the properties under DDF (130,000 properties across Canada) and display them on your website. You want something more specific than the Toronto Real Estate Board’s listings for your area. DDF, although it is not widespread yet, it offers you the best solution. Depending on your website, you can purchase a plugin to display properties on your site (example: http://www.thehomesellers.ca uses a plugin and displays 6500 properties in Ontario) or you will need to find a web developer to build something more specific for you. Alternately, you can sign up with one of them real estate website providers and save you a headache. The website you reference above for Lilette Wiens – is that a WordPress premium or business site? and what is the theme as well, if you don’t mind.. thanks! When you ask if it is a WordPress business site I assume you mean WordPress.com. This is a self-hosted WordPress.org installation. This WordPress.com to WordPress.org Guide that I wrote on the LearnWP.ca site will help you understand the difference. The Theme is the CyberChimps Responsive theme – I created a child theme with customization that is used in our Toronto 2-day WordPress Intensive. Lilette took that workshop. Do you know if it is possible to have the idx automatically show the results pane of a specific location on page load? For example, if someone were to visit your “Property Search” page, I want the iframe to automatically show the image that you have up there (Results pane is loaded with 33 results) without needing the user to actually search? Has anyone had a message appear saying the API key is not activated or was granted for a different domain? I have recently changed web hosts, but my API key remains the same from TREB and the old site has been removed. Ideas? I’ve worked on a WordPress plugin that does an actual integration with the Toronto Real Estate Board (TREB). I have a test site here where I also integrate it with a theme and Google Maps, but that feature is for a later version of the publicly released one. You can contact me on my site if you’re interested in any custom work on top of it or integration – otherwise the plugin as is is a free download. Thanks Moe this looks great! How do we get it to show only sold property, just like other sites are doing now ? (For example HouseSigma or MongoHouse , both of these even have the final sold price as well)? Would we add some extra code into the example “iframe” code you discussed in your awesome post? Great question, I would also like to know it. Hi, I followed the steps, however the frame is coming empty on my website. Would you happen to know, how can this be corrected ? It is possible that it is because of an ssl certificate. Update the code to https and see if that resolves it. If it doesn’t, reach out to TREB and ask if there is an updated method to embed this. I haven’t looked at this code in a very long time. Hi Ruth, I’m trying to add MLS listing to my real estate website. Just one specific listing per post so I don’t want to pay for a service to convert the DDF feed. Your article seems to address that issue but the Treb website has changed since you updated it. I don’t so IDX option on the Treb website. Any ideas how I can add just one specific feed to a WordPress post? A weekly “home of the week” style post. Sorry Dave I don’t know of any way to automate this. This is an old post, I haven’t worked with IDX and TREB in a very very long time. I understand Ruth. Trying to avoid paying for multiple IDX services on different websites. Thanks and if I figure it out I’ll let you know since your site ranks well for some search terms.